erected by the Roman Catholic Church to enshrine the place presumed to be Peter’s home. 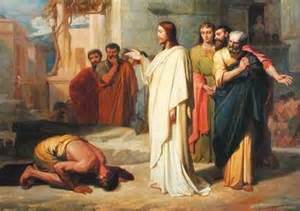 Recall, Peter lived in the Capernaum with his family, notably his mother-in-law who Jesus reportedly healed. The church building is a remarkable structure on stilts so you can clearly see ruins of Peter’s home under the edifice. Near the entrance to Capernaum are the ruins of the ancient fourth century synagogue, which may have reflected the same grand scale of the synagogue in which Jesus was invited to speak. The synagogue ruins there today are the remains of a beautiful structure. It has the appearance of Greek influences—columns line each of the longitudinal side of the building, the floor has a mosaic design of exquisite beauty, and the stone work is that of a master craftsman. Like the humble synagogue that likely stood in Nazareth reflecting poverty, the synagogue in Capernaum reflects the wealth of the community. 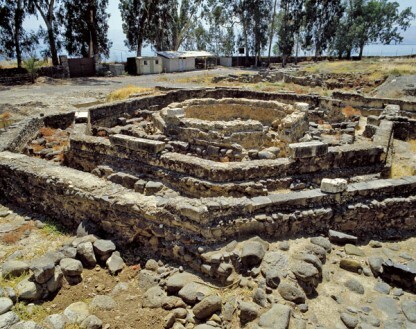 The point is that Capernaum was a first class small town with thriving industry of mostly well-off people. Now, recall when Andrew introduces Nathaniel to Jesus, Nathaniel says, “Can anything good come from Nazareth?” By comparison, Capernaum was where the better class of people lived. Nazareth was a backwater town, a satellite actually of the larger city of Sepphoris. So, here is this Nazarene in the synagogue, in Capernaum, possibly overstepping his bounds. Yet, he spoke with authority. Jesus rebukes the demon in the man at the Capernaum Synagogue. then continuing on as if nothing had happened. Jesus helped the man find peace and be quiet, but everyone else saw a miracle and Jesus, in that instant, becomes famous all over Galilee. Possibly, his fame reached all the way to Jerusalem in just a few days. Jesus was not interested in miracles. Miracles were not his message. He had come to proclaim a new teaching–God is near and that the empty religion of rules and right practices was preventing people from experiencing the full justice and love of God. Nevertheless, in that instant the people saw in authority Jesus. Because it was authentically applied, the authority exercised with was powerful. The town crazy knew that when Jesus rebuked him, the words aimed at him were authentic. The man, who came out of the crowd to challenge Jesus, already knew who Jesus was. He also had a good idea of what Jesus’ ministry was about. This man, although believed to be possessed, knew the truth. He knew that the words and deeds of Jesus would turn the world upside down. Let us assume, he was comfortable in a world where he was allowed to be a lunatic and tolerated. Others also were comfortable in their worlds of formalized and legalized religion. They had forgotten the words of Moses that a prophet would come out from among the people, and who would be more like the people than a man from the disregarded of Nazareth. Could anything good come from such a place? In their presence, the superior people of Capernaum now knew the answer. Yes, something good can come from such a place. Eventually, the religious elite in Jerusalem would know the same truth and they would be challenged by it. When Jesus gave Simon Son of Jonah the name Peter (Cephas—the Rock), authentic authority was given to the Church and nothing, no other authority, would prevail against it. The Apostles carried that authentic authority to their known world. They proclaimed, as Jesus taught them, a new relationship with God, a relationship of love for the Divine and for humanity. Sola scriptura was one of the main theological beliefs that Martin Luther proclaimed against the Catholic Church during the Protestant Reformation. During the Protestant Reformations of the sixteenth and seventeenth centuries that authority was challenged. Instead of the Church, authority was placed in the Scriptures. 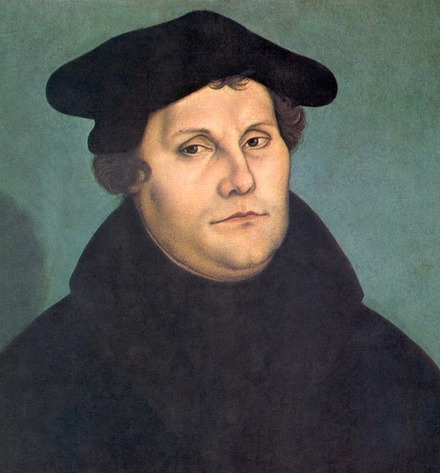 For example, Martin Luther taught a doctrine called Sola Scriptura, meaning Scripture Only. The English Reformation did not go quite that far. Anglicans do believe that in the Scriptures we find all that is needed for salvation—meaning, nothing could be added to amend or augment the Scriptures, such a indulgences to pray people into heaven. Nonetheless, Anglicans/Episcopalians profess a doctrine of Prima Scriptura. Because the Church is a one, holy, catholic, and apostolic body, authority remained with the Church; and, as Jesus as head of the Church and the Church—the Body of Christ—continues to speak with that authority. From that doctrine came the teaching that the Church best speaks through Scripture, tradition, and reason. If that is true, and I believe it is, then the Church must speak the same way Jesus did to the town nuisance who interrupted the good people of Capernaum. The church must not depend on miracles but on the hard work of understanding the human condition, as Jesus did, the hard work of discipleship, and finally the hard work of being an agent of and for good—caring mostly for the poor, the neglected, and the downhearted. Most of all, the Church must engage in the hard work of not being a stumbling block for the weak. Behavior matters. Episcopalians need to be mindful of this injunction. We do have a so-called liberal morality, and that is good. In that liberal morality we do not pass judgments—that is God’s work. Nevertheless, behavior that is seen as destructive, hypocritical, and thoughtless must be avoided. We should not glorify the virtues of habits that can lead to ill-health or worse. We should avoid degrading the religious beliefs of others, and we should not take pride in our openness, but practice it to the benefit of others. In other words, we should enter the world’s gathering places and speak with authentic authority and exercise behavior that reflects Jesus to the world and through which Jesus is clearly seen. It is the authority that can ultimately calm a troubled world. Matthew 8:14-15 and Mark 1:30-31. When she was feeling fit again, she was asked her to fix dinner for the group. The evil reputation attached to Nazareth (John 1:46) has generally been attributed to the Galileans’ lack of culture and rude dialect. 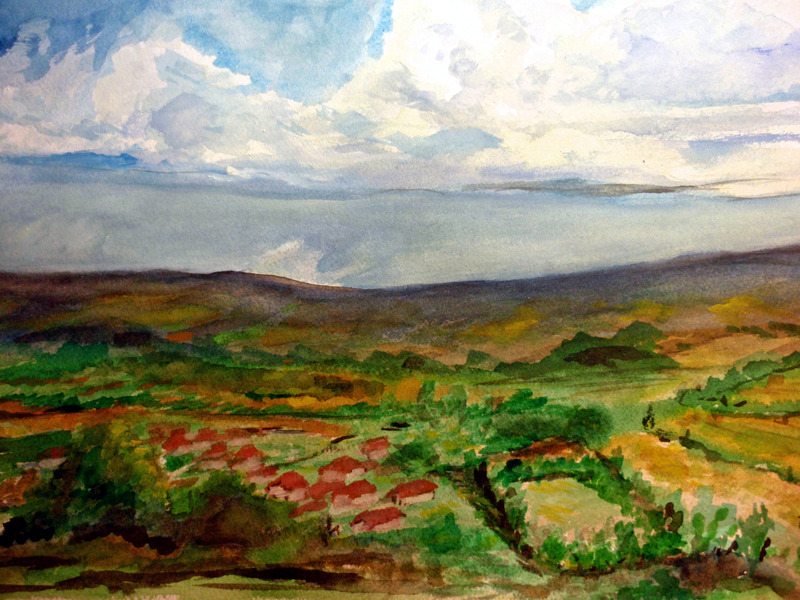 Nathanael, who asked, “Can any good thing come out of Nazareth?” was himself a Galilean. He may have said that because Nazareth was such a common term of contempt among the more “righteous” Jews in Judea. Cephas is an Aramaic word meaning rock as Peter derives from Greek meaning rock. Sola Scriptura is the teaching that the Scriptures contain all that is necessary for salvation and proper living before God. Sola Scriptura means that the Scriptures–the Old and New Testaments (excluding the Catholic apocrypha)–are the final authority in all that they address (1 Cor. 4:6); and that tradition, even so-called Sacred Tradition, is judged by Scriptures. Prima Scriptura suggests that ways of knowing or understanding God and his will that do not originate from canonized scripture are perhaps helpful in interpreting that scripture, but testable by the canon and correctable by it, if they seem to contradict the scriptures. Liberal morality is based on reason that can be derived from pure philosophy or a religious doctrine.